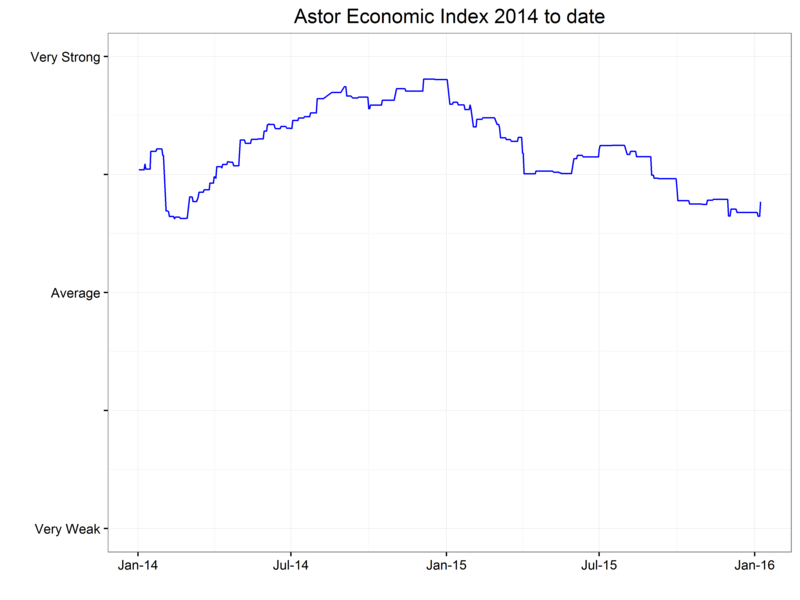 The economic news softened somewhat from my last update. The payroll numbers for May were especially weak, following a modest April. 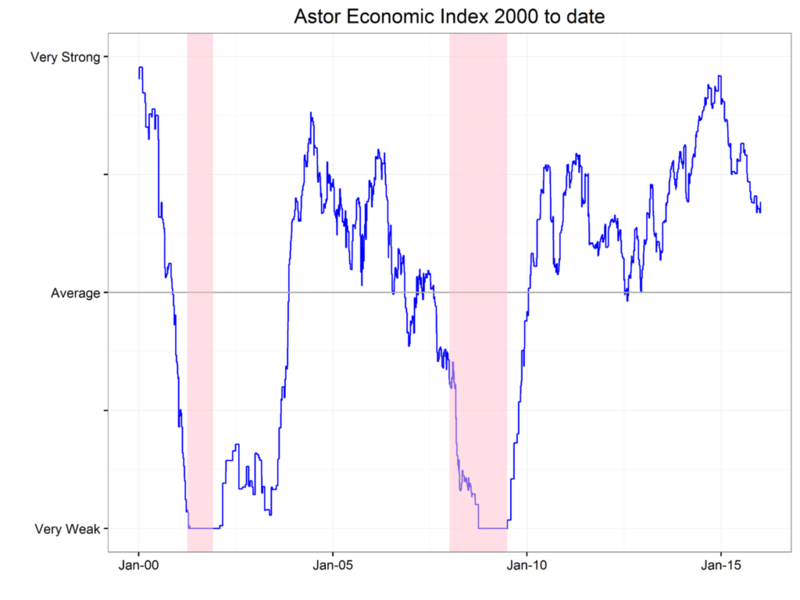 However, we should not exaggerate one reading of a volatile series Overall the economy still looks like it is on a decent heading, but evidence has accumulated of at least a small pause in growth. This is likely to make the FOMC put off rake hikes. 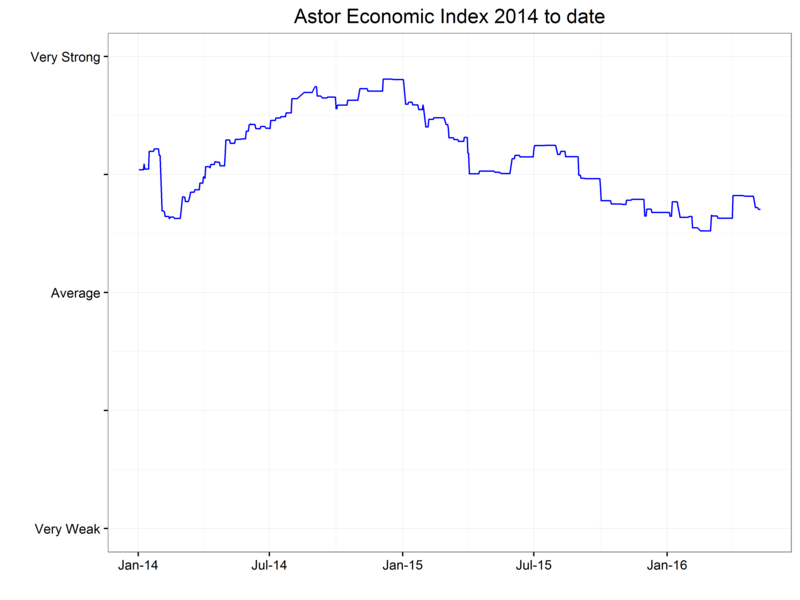 Our Astor Economic Index® (“AEI”) shows growth is lower than last month, though slightly above this year’s lows posted in February. 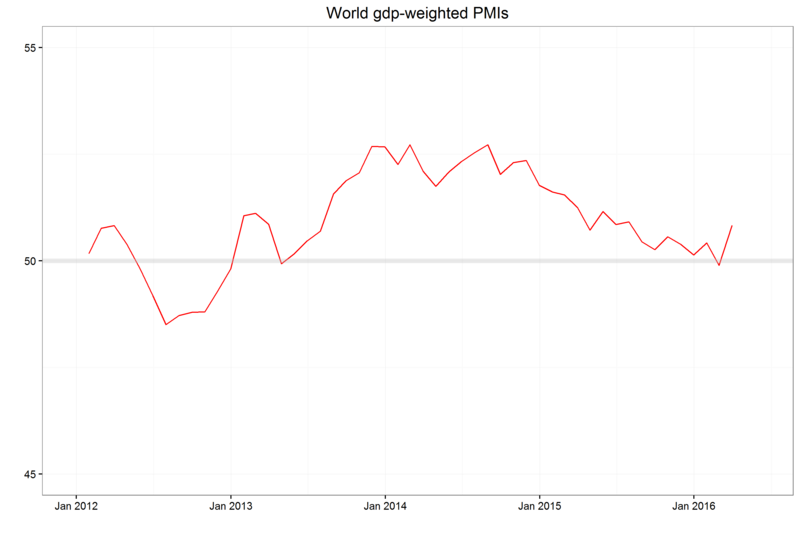 However, I still see the US as growing above average today. The AEI is a proprietary index that evaluates selected employment and output trends in an effort to gauge the current pace of US economic growth. In remarks made on June 6th, Federal Reserve Chair Janet Yellen called the May jobs report “disappointing and concerning” but she still believed that the fundamentals of the economy are strong. I tend to agree with the Chairman. 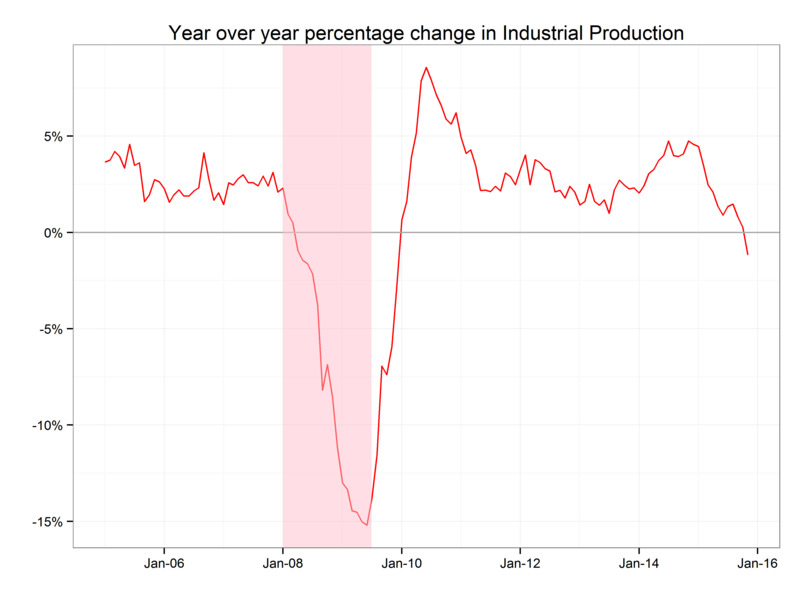 How weak was the jobs report? In the chart below, I averaged the last three month’s increase in payrolls to smooth out the numbers. As a result, the increase in payrolls has dropped to an average of 116,000 jobs over the last March-May period. For most periods since 2012, the increase in payrolls has been in the 175,000-250,000 range, though it has printed this low a few times. At this stage in the recovery, the s that it will take only 70,000-90,000 jobs a month to keep the unemployment rate stable. In my opinion the current jobs report is poor but we need to see additional signs of weakening before we move from concerned to alarmed. 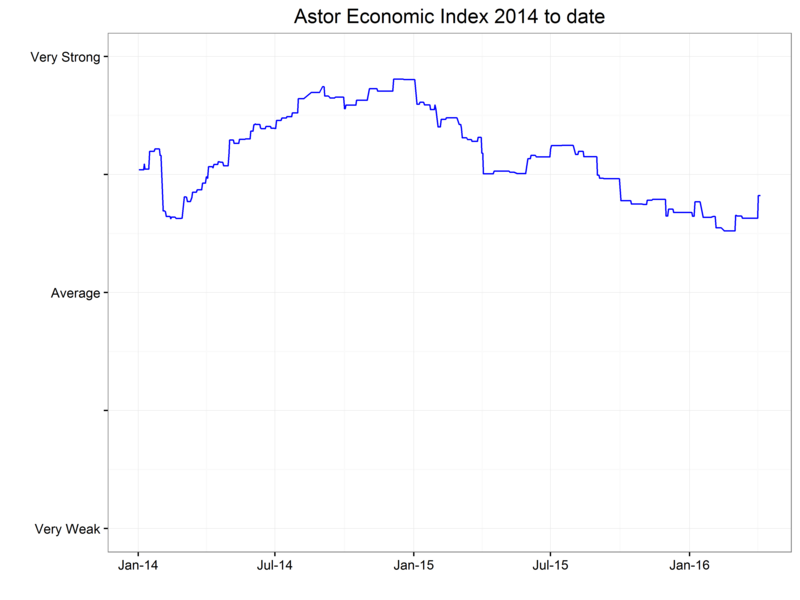 It is not just Astor Investment Management who is still seeing the growth picture as somewhat positive. 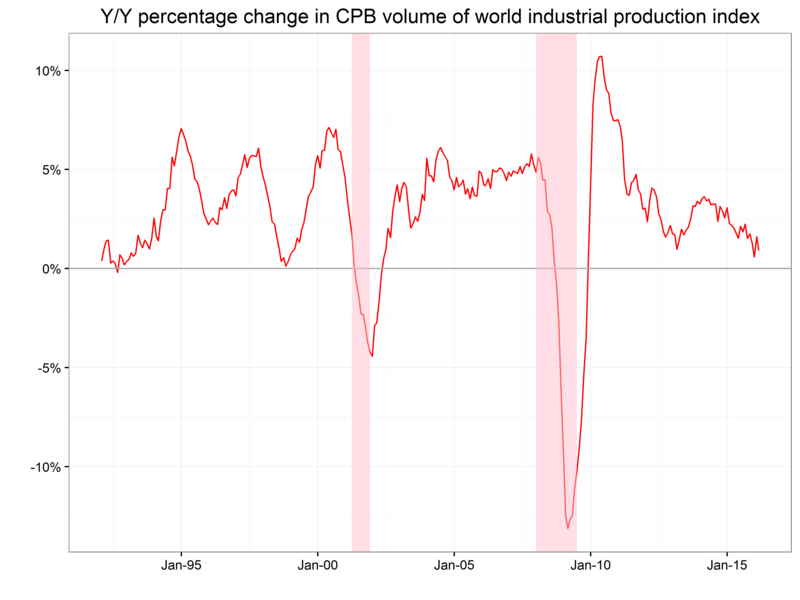 The nowcasts maintained by the Federal Reserve Banks of Atlanta and New York both show stronger growth than the first quarter. 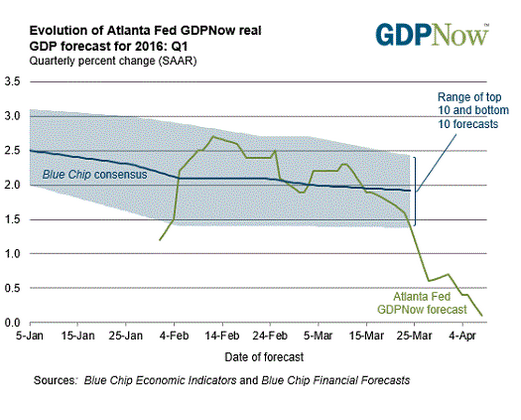 The Federal Reserve Bank of Atlanta is currently estimating 2.5% and the Federal Reserve Bank of New York is estimating 2.4%. Both have been updated since the employment report. Where does this leave the Federal Reserve? The market no longer believes that the June meeting is a real possibility for a rate hike anymore. I agree. In Ms. Yellen’s speech, mentioned above, she gave cases both for and against another hike. 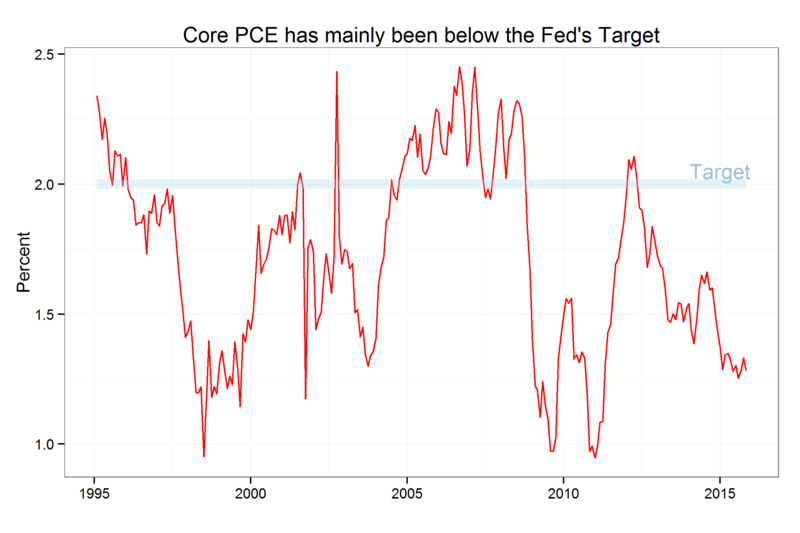 The main case for hiking rates is that as long as inflation is expected to return to its target of 2%, in the medium term the Federal Reserve should soon raise rates slightly, so as not to have to raise them a lot later. The case against another hike is that there is probably still additional labor market slack beyond the 4.7% unemployment rate and that inflation has spent very little time above what is supposed to be a symmetric target in the last ten years. 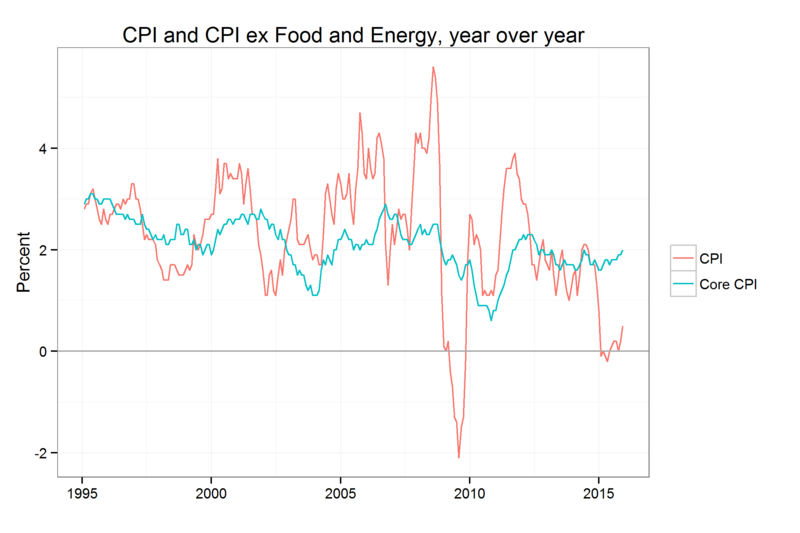 In addition, the inflation expectations seem to be drifting down slightly, something Ms. Yellen said she will be watching closely. Should the payroll weakness continue or inflation expectations drift down further, rate hikes would likely be off the table. If, on the other hand, those indicators show renewed signs of a strong economy then the Federal Reserve may finally make the second hike. Will the election delay things? The Federal Reserve wants to be seen as divorced from the political scene. The Federal Reserve moved rates in the summer or early fall in 3 of the last 6 presidential elections, not including the crisis year of 2008. September 21st is another press conference FOMC so expect speculation to be attracted to that meeting, assuming no dramatic surprises in the economy. Overall, I am concerned about the state of the economy and while I expect the last, weak payroll to be an aberration, I will be watching the numbers with more than usual interest next month.